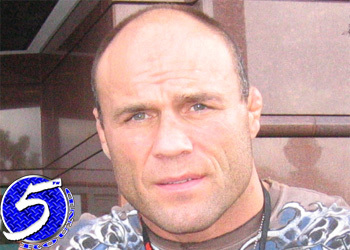 Former UFC heavyweight and 205-pound champion Randy Couture has had a busy schedule of late. In addition to promoting his upcoming movie (The Expendables), Couture has been training for an important showdown with boxing legend James Toney at UFC 118. Even at 47 years of age, the competitive juices are still flowing through his superhuman veins. MMA’s “Captain America” recently discussed the possibility of meeting 185-pound king Anderson Silva in a light heavyweight tango. Although Silva has won all 11 of his Octagon bouts, his last three title defenses have left a lot to be desired. It all started at UFC 90 when “The Spider” allowed a severely under-matched, yet game, Patrick Cote extend him into the 3rdRound before the Canadian blew out his knee. His last two outings have resulted in unexciting unanimous decision wins over Thales Leites and Demian Maia, respectively. “I think since the Cote fight he’s taken on a different style and hasn’t been as explosive, not trying to finish fights early on,” Couture continued. The Hall of Famer believes Chael Sonnen’s in your face concept is perfectly suited for his UFC 117 showdown with Silva, which is something that Couture has mastered throughout his career. Speaking of an intriguing match-up where one fighter will look to take his opponent to the canvas, Couture’s planning on violently rolling out the MMA welcome wagon when he meets Toney inside the TD Garden in Boston.